We are fortunate to work on both sides of the grant making process. We work with funders administering grants to organizations to help carry out their mission and purpose. We also work with organizations pursuing grants from funders and have written several blogs about grant writing here and here. In this blog, we are going to focus on the funder side of the grant making process and strategies that funders can employ to improve the outcomes of their grant awards. Yes, the structure of a Request for Proposal (RFP) can have a positive or negative impact on the outcomes of grantees and funders accomplishing their goals. Whether a funder is establishing a new grant program or looking to update their current grant, how your RFP is structured can influence the outcome of how the grant funds are ultimately used. This is why we are sharing our tips to help improve the overall grant making process starting with the RFP. 1. 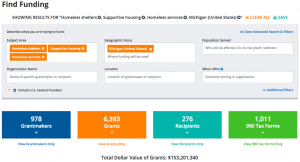 Have a Clear Purpose for the Grant Program. One of the first questions we ask funders is what do they hope to accomplish from this grant funding source. As a prospective grantee, since we work with many of them, it can be really challenging to write a grant application when there is not a clear purpose and focus. Having identified goals, program priorities and guidelines helps the funder select grantees who are best aligned with supporting the accomplishment of their goals. It also helps the prospective applicants know how their organization, programs and services are a good fit (or not) for supporting the funder’s goals. 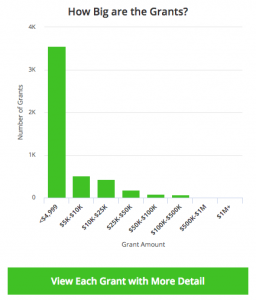 We worked with a funder who wanted to review one of their current grant programs. They were not seeing the outcomes they had hoped from the grant program and after reviewing their RFP, we saw some areas for improvement. Their identified goals were very broad and general, so the applicants were submitting proposals that lacked focus and direction. We worked with the funder to get clear about what they wanted to accomplish with this grant program and revised the RFP to better communicate the goals, priority focus areas and expectations. The next grant cycle resulted in not only better applications but ultimately grantees with intentional purpose to support the funder’s goals! 2. Seek Partner Feedback and Alignment. Grant programs are administered by the funder but can be developed through a collaborative process. We are seeing a growing trend of funders reaching out to partners for feedback and input to inform a grant program. This is especially helpful when launching a new grant program and/or seeking revisions to a grant program. When doing this, we recommend including partners who will not have a conflict of interest for participating in the grant development / RFP process. We also suggest a variety of stakeholders with different perspectives. This may include researchers, consultants, past recipients, trade association representatives and other funders. We worked with a government agency to help them implement a new state grant program. 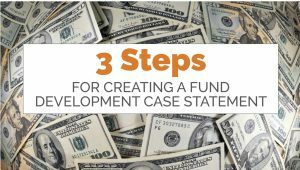 The client could have developed the grant program and RFP internally, but they saw the value (and we agreed!) in seeking input from key stakeholders to help inform the development of the grant program. Over the course of 3-4 months, the stakeholder group spent time reviewing data in the state, researching best practices in other states and developing the program goals and guidelines. The result was a comprehensive RFP that laid a solid foundation for the new grant program. 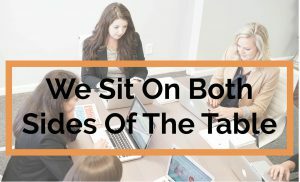 While it was more time up-front spent planning, it created tremendous buy-in and ownership in the industry as the new grant program launched. 3. Develop a Well Structured and Organized RFP. Include a “Table of Contents” that outlines the key elements included in the RFP package. Use “Headers and Footers” to identify page numbers, date of the RFP, and name of the RFP. Use a “Numbering System” to communicate each new section, such as Introduction, Submission Instructions, Narrative Requirements, Forms, etc. Use “Section Headers” to identify different sections within the big Numbering System. Include “Forms” that communicate how you want the information provided. This could include forms for a Budget, Evaluation Plan, Target Population Demographics, etc. Forms can also be a great space saver. State the “Selection Criteria” that will be used to rate the applicants. If you have identified points for particular sections that is even better. Include a “Checklist” with the order of the grant application package. This not only helps the applicant double check that they have all of the required items, but is also an internal check for the funder that everything needed is being requested. We worked with a client who awards funding to support before, after and summer school programming. The program and RFP process had been operating on “auto pilot” for many years being passed on from one staff person to the next. As a result, the RFP application and forms had become a consolidation of different forms and information that resulted in a disconnected RFP packet. It was no wonder when the applications came in that they too were not well organized or structured, which made the review process very difficult. We worked with the client to review the application package and identify what information was necessary, the order in which the information was needed and what could be removed. We removed half of the RFP from its previous version, and there was much more clarity/ focus in the new RFP! 4. Go Digital with the Application Process. With the growth of technology, there are a variety of options and systems that can be implemented to help make the RFP process more efficient and effective for both the funder and applicant. When possible, we encourage clients to use digital forms for posting grant application information and receiving applications. A free option is Google Forms. There are several low-cost online options for creating and accepting forms that we encourage funders to consider if their budget allows. Some funders choose to design their own system embedded on their website to accept grant applications. Whatever the path, there are options available for nearly every type of funder and their budget. We often see a ROI on time saved through the use of technology, and applicants tend to appreciate these digital systems. We worked with a funder who still wanted to have multiple hard copies of the grant proposals and on a CD-ROM. A flash drive was not acceptable. Many computers are being made without CD-ROMs. The client hadn’t considered new digital systems available to submit grants that could make the process easier for both them and their applicants. We presented different options that they might consider for their RFP. The funder ended up taking a “baby step” of accepting email submissions. We hope that the next step will be using one of the digital options. By investing some up-front time in thoughtfully planning and structuring a grant program’s RFP application, the funder will see positive benefits in helping to accelerate their impact. Transform Consulting Group is available to support funders in accomplishing their goals through the grant making process. Let us know if you have a new program you need assistance setting up or want someone to take a look at an existing program. The U.S. Department of Justice Office of Juvenile Justice and Delinquency Prevention (OJJDP) and the Corporation for National and Community Service (CNCS) have partnered to create the Youth Opportunity AmeriCorps funding opportunity. AmeriCorps grants are awarded to eligible organizations to recruit, train, and manage AmeriCorps members during a defined term of service. This AmeriCorps funding opportunity provides grants to programs that help youth who have been adjudicated in the juvenile justice system, convicted in the criminal justice system, or identified as “at-risk” for incarceration, to serve as AmeriCorps members. Youth will have the chance to participate in a national service program and receive meaningful mentoring while they serve. Establish and maintain mentoring relationships between experienced members and disconnect Youth AmeriCorps members. Evidence of collaboration with entities that provide reentry or reentry-related activities. A Letter of Intent is due Monday, April 20th. The full application is due Wednesday, May 20th. Recipients of the Youth Opportunity AmeriCorps grant will need to enroll new AmeriCorps staff members to provide mentoring and coaching to at-risk youth. Recruitment should involve finding individuals who have mentoring experience and/or applicable life experience to serve as mentors and coaches to support the successful participation of youth in the program, and position them for success after their service ends. For more information, click here. Transform Consulting Group has successfully helped programs apply for AmeriCorps grants in the past, including the United Way of Central Indiana. 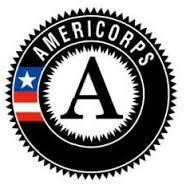 Interested in how AmeriCorps staff members could improve your organization’s impact? Contact Transform Consulting Group today to learn more.